Last Saturday, I got invited to view the Panasonic Full HD 3D TV over breakfast. When I got there, I was wondering why were there so many sunnies on the breakfast table! Oops, those were not sun glasses! They were the 3D eye wear for viewing the 3D TV! These are not the flimsy plastic ones that you put on when you watch 3D movies at the movie theatre. These are battery powered and they deliver superb 3D experience for each eye. Although I am a techie by profession, I shall not try to explain how it works. You can read about it if you are free here. I don't have 3D lenses on my camera. So the photos I take can't show you the 3D effect. You just have to down to a Panasonic showroom or your favourite electrical shop that carries it to have a look! Go after work or during the weekends. I think you will be quite amazed. We were watching Ice Age 3 in 3D! 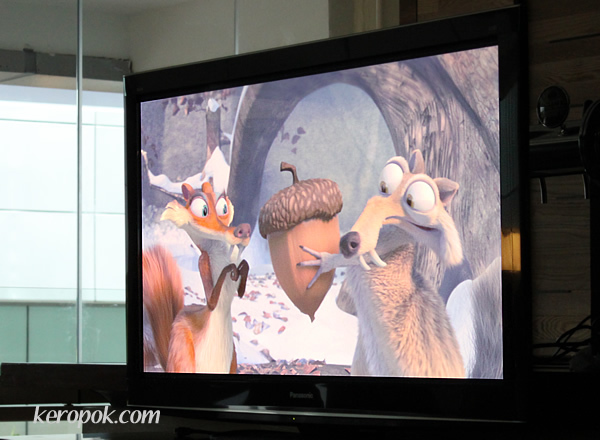 If you have watch Ice Age in 2D, you should view it in 3D! What you see on the photo below is just a 2D image, just imagine it popping up in front of you when you watch it with the 3D glasses on the HD 3D TV! Do you want to win one of these HD 3D TV? 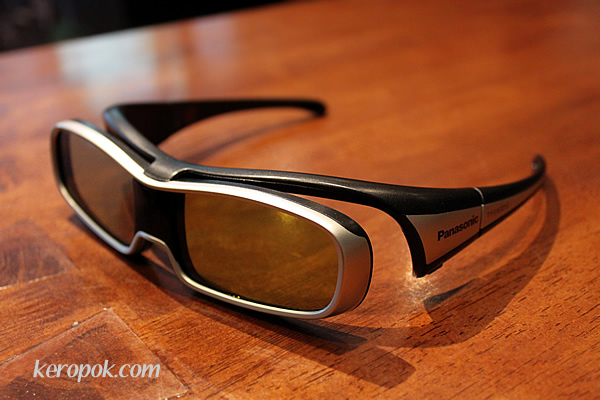 If you do, visit their facebook page at http://www.facebook.com/panasonicasia You can join the competition and may you win it! Note: I received a free breakfast and Toy Story toys attending the event. I am posting this because I think it's really cool!